We found 54 holiday homes matching your search criteria. 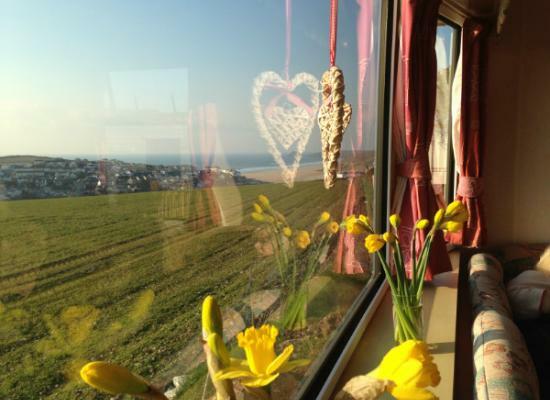 Comfortable, spacious 8 berth caravan in a secluded corner pitch over looking a barley field at the far side of the site with uninterrupted views of the Cornish countryside, Perranporth's wonderful sandy beach and the Atlantic Ocean. Welcome to our caravan ATLANTIC RETREAT. Located with panoramic views over beach and countryside. 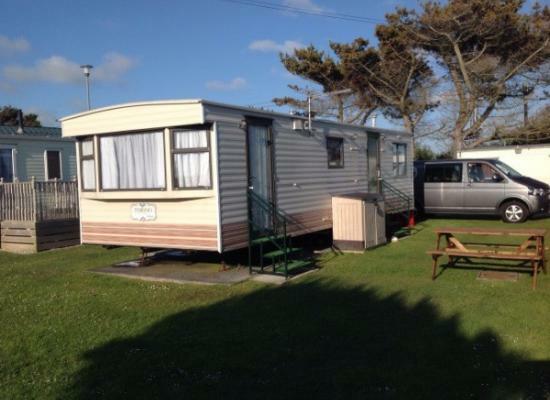 Our caravan is Gold Star Plus rated that comfortably sleeps 4. The kitchen is well equipped with separate dining area. 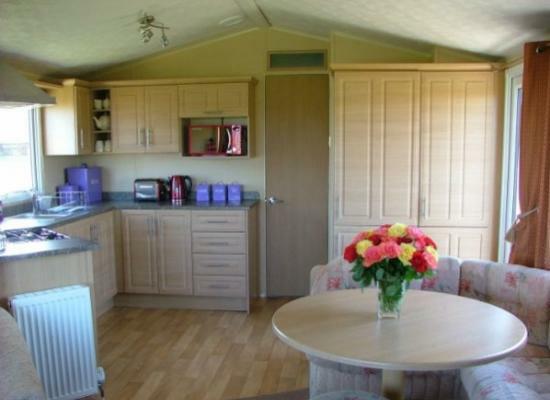 A Gold Star 3 bed caravan, that comprises, an open lounge, dining area and fully equipped kitchen. There are 3 bedrooms, a double is en-suite/cloakroom. 2 x twins. Separate bathroom. The caravan has full central heating, double glazing. Padstow 20 has fantastic views over Perranporth and out to sea. It has two bedrooms and a pull out bed in the lounge. The main bedroom is en-suite. The caravan is fully equipped with everything you should need for your holiday. Our Topaz Super (home from home) caravan is extremely comfortable, spacious,light and airy and comes complete with a bath! It has a large decking with patio furniture and sun loungers and boasts panoramic rural and sea views. 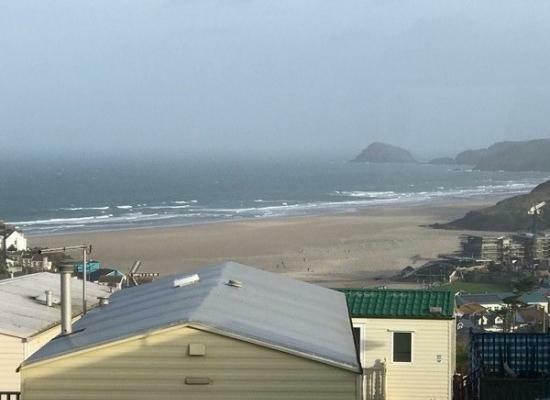 The caravan is front line, affords unobstructed sea views of Perranporth. A view of the sea and golden sand/golf course can be seen from the decking . It is a 10 minute woodland walk to the town from the caravan. 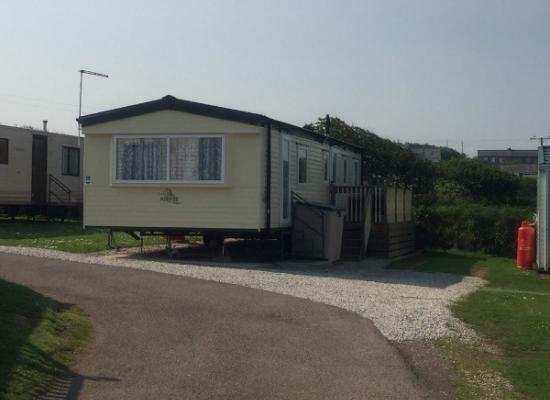 Watch the surfers or sunsets from this spacious 3 bed caravan. 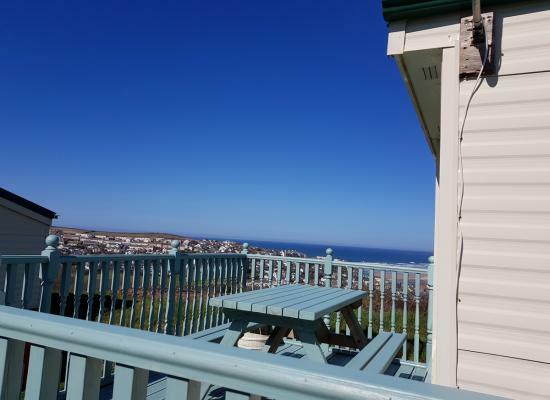 Wonderful views of Perranporth Golden Sandy Beach & the Cornish countryside. Sit on the Large South Facing Decking to relax & enjoy the summer evenings. All you need for a great stay! 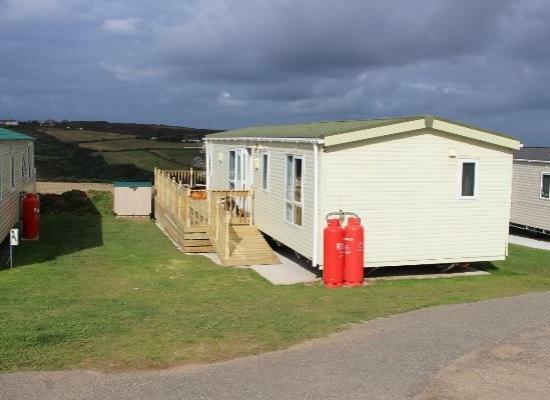 Liskey Hill Caravan Park is a quiet, small and friendly site in Perranporth which is only a short walk from the beach. There is a small shop on-site along with a takeaway, games room and laundrette facilities available. Nearby Perranporth offers many seaside amenities plus facilities such as a swimming pool, golf course, great walks, etc. Further afield you have the huge variety of attractions that Cornwall has to offer. 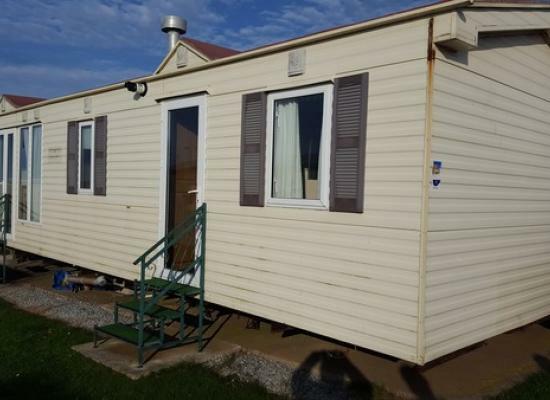 The privately owned static caravans shown all offer holiday accommodation at Liskey Hill, with private caravans you often get some extra touches not found when hiring direct from the holiday park itself.